In light of recent events in the Phou Bia Xaysombun Special Zone in Laos, UNPO and the Congress of World Hmong People urge the international community to take up an active role in ending atrocities in the region. In light of recent events in the Phou Bia Xaysombun Special Zone in Laos, UNPO and the Congress of World Hmong People urge the international community to pay close attention to the ongoing events in this region, and specifically the plight of the Hmong people. The President of the Hmong, Chong Lor Her, reported on October 2nd that the Lao government has used dogs to hunt for his people and that military forces have again entered the zone in the east of Moungxaysombun, Moung Cha. The Hmong are an ethnic group who have migrated to the areas they inhabit now as early as the seventeenth century, and have lived there ever since. They have a rich culture, and are known to enjoy a high level of autonomy, but enjoyed good relations with the Kingdom of Laos up until the government takeover by the Communist Pathet Lao in 1975. After 1975, the government of Laos responded to the support the Hmong gave to the French and US forces by a campaign of ethnic cleansing of Ethnic Hmong, which they have continued up until this day. 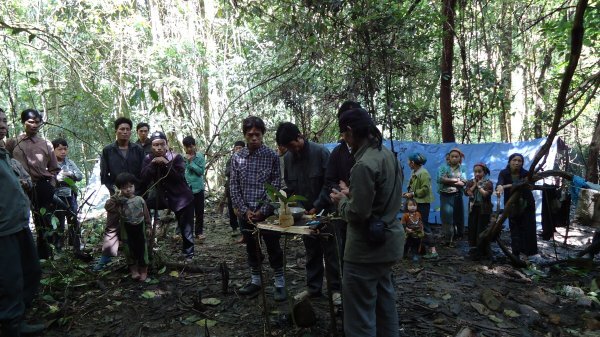 Last year, UNPO appealed to the international community on behalf of the Hmong people to take action against the violent campaign of ethnic cleansing undertaken by the militaries of Vietnam and Laos against ethnic Hmong in northern Laos. Until now, this campaign has continued and the violations of international law continue to stack up. With every day that passes, the situation becomes more critical and the Hmong urgently need humanitarian assistance, since they lack both basic medication as well as food supplies, their sources of food having been cut off and destroyed by military forces. Because of this grievous situation, UNPO General Secretary Marino Busdachin urges the international community for immediate assistance for the Hmong and to take up a role in the ending of the atrocities committed by the Lao government.